We all know the relationship between LeBron James and Cleveland Cavaliers owner Dan Gilbert isn’t exactly the friendliest. There’s still lingering damage from James’ 2010 departure to Miami, specifically from Gilbert’s infamous Comic Sans letter bashing the Cavs superstar. On top of this, the moves Cleveland’s owner has made since James returned in 2014 have left many to believe the relationship hasn’t taken many steps forward. Where you lose me, though, is when you ask me to believe the latest story we’re hearing about Gilbert. Apparently, Cleveland’s owner wouldn’t mind it one bit if James left this summer. In fact, Gilbert “can’t wait” until he leaves. Sorry, I don’t buy this one bit. Though James may end up heading elsewhere this summer, this outcome certainly won’t be one Gilbert celebrates. Obviously you have to consider the source here, in this instance Stephen A. Smith of ESPN. Smith has already swung and missed on the James narrative this summer, including when he incorrectly claimed the superstar was considering signing with the Golden State Warriors. While I’m sure he has some credible sources, he’s yet to prove he has a finger on the pulse of this story. That said, this claim feels like one hell of a reach, even for Smith. Gilbert knows what life without James feels like. He took his “we can survive without him” approach with the fans in 2010, only to watch the Cavs bumble their way through the next four years. His attempt to win a championship before James did in Miami fell laughably short, as all Cleveland was able to win was draft lotteries. That Gilbert would somehow endure the mess of life without James, watch the team win a title within two years of his return and still feel as though he’d be better off without him is almost impossible to believe. I understand Gilbert has some sense of belief he could help clean up the rubble should James leave again this summer. That said, there’s a difference between thinking you can build a championship team without the best player on the planet and actually wanting this to happen. Gilbert isn’t stupid. 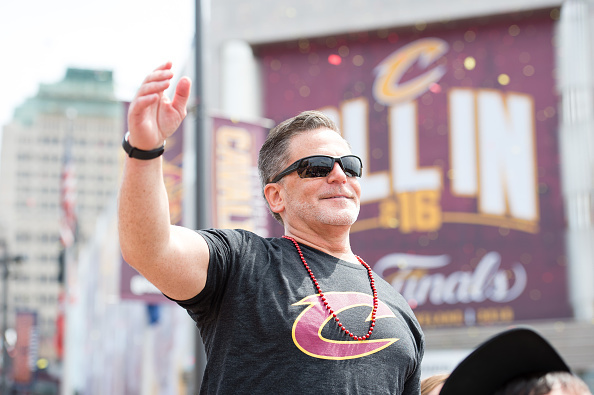 He knows exactly how rough owning the Cavs will become if the team’s marquee player heads out the door, how quickly ticket sales will decline, how fast fans will lose interest in watching another grueling rebuild. If, despite all of this, he’s rooting for James to leave as Smith is claiming, we may want to check on his mental health. Again, we know James and Gilbert aren’t best friends. If the former leaves Cleveland because of his relationship with the latter, it wouldn’t be too much of a twist ending. However, I still don’t buy this idea Gilbert dislikes James so much he’s greasing the wheels for his departure. If he wasn’t “fond” of James, as Smith claims, why would he even bother flying down to Miami four years ago to try and make amends? Why would he pitch the idea of having him come back to the Cavs? Why would he spend so much money on contracts he’s found himself paying historically high luxury taxes? There’s no way Gilbert would’ve gone so far out of his way to try and convince James to come back to Cleveland in 2014 if he hated him as much as Smith is implying. I believe the idea of Gilbert being very prideful, of thinking he can handle turning the team around if James departs. I also believe people when they say he’s envious of James getting almost all the recognition for bringing home the Cavs’ first championship. However, I don’t believe said jealousy is so deep Gilbert is literally telling other owners around the NBA about how badly he wants James to leave. I don’t believe he’s so power-hungry he sees James’ potential exit as a win. We’re talking about the same person who had a running clock in his office showing how much time had elapsed since the city of Cleveland’s last championship in 1964. And we’re to believe he wants the very man who helped set that clock to zero on June 19, 2016 to get out as fast as humanly possible? There’s a ton of rumors floating around now that James’ free agency is in full swing. Smith’s claim about Gilbert is one I simply refuse to believe is true.